Listening to two talks by two very prominent scientists recently got me thinking a bit about the whole issue of scientific communication. One was given by Yuri Levin, a former student of Kip Thorne, on Sagittarius A*, the location of the supermassive black hole in the centre of our Milky Way galaxy. 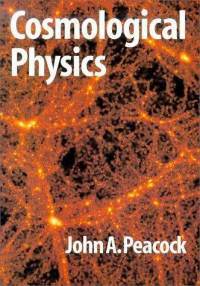 The other talk was by John Peacoke, Professor of Cosmology at the University of Edinburgh, author of the well-known textbook – Cosmological Physics (of which yours truly owns a copy). I couldn’t help but notice the two contrasting styles of both presenters and the contents of their presentation. Yuri Levin’s talk was presented assuming no prior knowledge of the audience. He managed to hold my attention throughout the one hour session, because I understood what he was saying. He also ended his talk with a slide showing the main take-away message for the audience. On the other hand, I found John Peacocke’s talk to be way over my head – being pretty unfamiliar with galaxy and structure formation in the early Universe. I got lost after the first few slides. I came out of it thinking – the talk is as incomprehensible as the book! I have no doubt that John Peacocke is a brilliant scientist. And I’m pretty certain that he would be able to commmunicate his ideas to non-specialists if he wanted to. Perhaps, his target audience was the other ICRAR researchers who were also well-versed in his field whom I’m sure enjoyed the talk. Perhaps, he had no idea that his audience consisted of engineers, computer scientists and radio astronomers. This leads me to the question: how do we decide on the level of the talks we give? We can’t please everyone in the audience. But more and more I’m seeing the point that my thesis supervisors have been trying to drill into my head for the last two years. It is that we should never assume any prior knowledge in the audience. It doesn’t matter if you try to explain something that most people in the audience already know – no one ever holds a grudge against you for telling them what they already know. In contrast to my experience during my masters, where I remember being encouraged to put in complicated equations in my slides to impress the audience – to show them how difficult the problem was, the philosophy of my supervisors here is the direct opposite. The aim of your talk is to show the audience how simple the problem (and your work) is, they say, so that the audience will wonder why they never thought of it themselves. I find this to be a rather profound thought. Why bother giving a presentation in the first place if by the end of it, you’re still the only one who understands what it’s all about? Having listened to these two talks recently, and lots of other talks by visiting speakers (as well as those from within ICRAR), I find that I have been more impressed by those whose talks I understood, rather than those whose talks I didn’t. Contrary to popular perception, I’ve found that the higher the academic qualifications of the speaker (Professors etc. ), the higher the tendency for them to speak at a level suitable for non-specialists, resulting in more accessible talks. Rick Perley (the director of the VLA) and Ron Ekers (former VLA director and former president of the International Astronomical Union) come to mind. Experience perhaps? Maybe it’s just that guys like these see no need to impress anyone – they already have impressive credentials. Also, the more familiar one is with a topic, the better one should be at explaining it in plain language. I agree with the saying that the best test to determine if one really understands a concept, is to see if one can explain it to a non-specialist. So these are important lessons I’ve learnt on giving presentations. I’ve got a few coming up to prepare for! Next Post Why Should Christians Care for Creation? Legend has it that Galileo Galilei muttered this phrase ('eppur si muove' in Latin, referring to the movement of the Earth) after he was forced to recant his heliocentric ideas. Since then, this great mathematician, physicist, astronomer and philosopher has become an icon symbolizing the often strained relationship between science and religion. Yet, many are unaware that Galileo remained a devout Christian throughout his life, advocating St. Augustine’s position on Scripture – that not all biblical passages are meant to be interpreted literally. Many are also unaware, that the stance adopted by the Catholic Church then was based not only on theological grounds but scientific ones as well. The title of Galileo’s controversial book, ‘Dialogue Concerning the Two Chief World Systems’, reminds us at this critical juncture in human history that there needs to be continuing dialogue between the scientific and religious worldviews in their common pursuit of truth.